Jet lag is a strange malady. 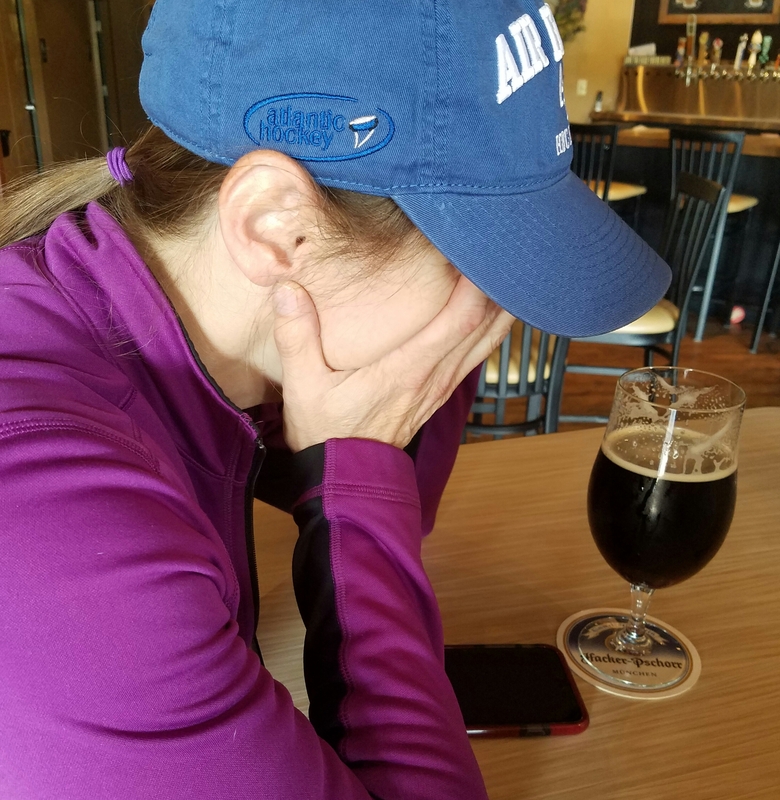 It makes me thirsty—for a craft ale, a dark one with a rich malty flavor and high in alcohol. Wonderful! A bar with a stout on tap is right next to the gate. Drinking is probably the worst thing I could do for jet lag, but I don’t care at this point. What else could we possibly do to kill time during a long layover in a generic airport after a transatlantic flight cooped up in economy? I pull out my phone, switch off airplane mode, and there it is…my first professional trade review for my novel Feast of the Raven. My heart skips beat. I take a long gulp from the pint of stout. Its creamy head is delightful but does little to calm my nerves. I break out in a sweat, and my hand shakes as I touch the screen to open the email. I pull away. Will a professional book reviewer “get it”? Does anyone really care about a barbarian wolf warrior in search of his soul? “Can’t what?” asks my husband Craig, licking froth from his upper lip. “Oh, for f**cks sake, just open it!” he says in his best imitation of a Scottish brogue. I chuckle, bite my lip, and begin to read. By the second sentence I am muttering, “Oh, my God…” By the end of the first paragraph, I’m breaking down in tears. I had to read it three times to make sure it was real. Craig’s jaw drops and his face loses all color. Oh, no! The guy who has supported me through years of writing, editing, teeth gnashing, and literary angst thinks that the review is terrible—and I can’t stop bawling long enough to tell him it’s better than anything I could imagine! The bartender rolls his eye at the drama, probably thinking that I just got dumped at the airport. He moves down the bar, pretending to clean. I laugh, wiping my eyes, and laugh some more. After a moment, Craig smiles and playfully paws at my smartphone to read it himself. He reads it several times too, his delight growing with every sentence. “I knew you could do it,” he says, raising his pint in toast. Catherine is a first-generation American raised on the history and lore of medieval Germany. At age 11, she saw the skull reliquary of Charlemagne and became enthralled with the era. 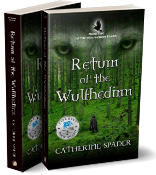 Spader feeds her inner Wulfhedinn by playing ice hockey and prowling wild forests and historic sites. Thanks Cheryl! Poor Craig was quite relieved!The sequel is planned for a June 2017 release. I used to play Charlemagne as a kid. This entailed running around with a stick yelling “Charlemagne!” and climbing trees doing the same. Once (I was 12), when leaping from tree limb to tree limb I slipped, fell, and broke my wrist. What all of this had to do with Charlemagne, I don’t know but years later I studied French and History and maintain a passion for both. Looking forward to reading your book! Thanks Linda! I hope you mended well. It’s tough being a Carolingian warrior King! As a kid, I used to run around using a broomstick as a flying horse playing valkyrie. Those were the days! Get News & Other Writings.